The DPM8000 Digital Starter Kit includes everything you need for one dictating author and one transcriptionist. You can purchase additional recorders & transcribers for the other users in your office to use with this starter kit. Please refer to the DPM8000 and LFH7277 models to purchase additional units. Record multiple sound sources with crystal clear precision through a unidirectional microphone that offers 360-degree sound pick-up. Enjoy intuitive technology that knows when the device is in your hand and ready to record or sitting idle on your desk in need of standby mode. Encrypt your recording in real time with Advanced Encryption Standard (AES) as well as a PIN code to prevent unauthorized playback. Transfer your audio files automatically and get a quick battery charge simultaneously. 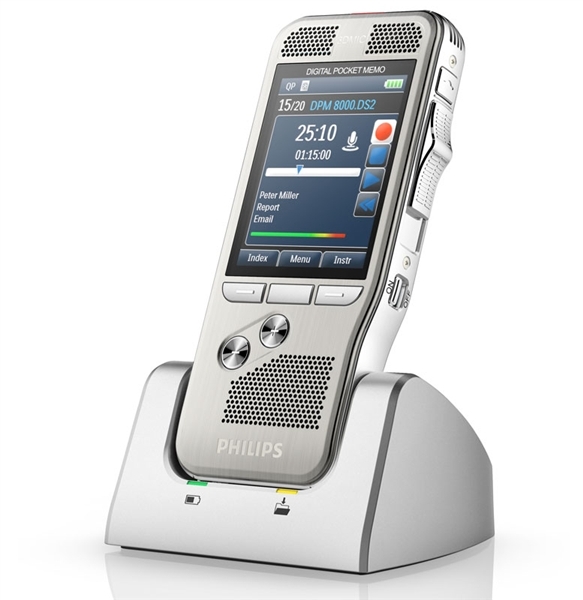 An optional foot pedal offers hands-free recording and transcription while docked even without a computer. (Pocket Memo 8500) Scan barcodes to link client or patient data with a recorded file to create a more efficient workflow. 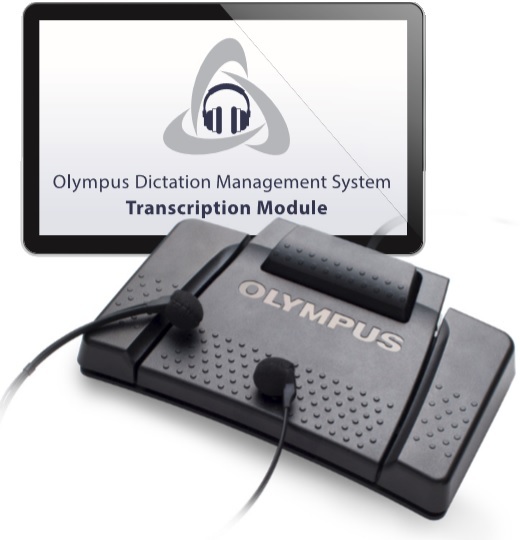 Speech Exec Pro Transcription Set 7277 is a powerful and user-friendly digital transcription system that turns your computer into a highly sophisticated transcription machine. Providing a whole range of benefits to the busy transcriptionist, the software streamlines communications and allows you to organize recordings clearly and transparently. Together with a set of ergonomic accessories, Speech Exec Pro Transcription Set 7277 is the solution that sets the pace in today's fast-moving business world. Visual work-flow management enables priority documents to be transcribed in order of preference. Actual job information during transcription provides all relevant dictation data, such as length, author name, key words and priority status. Individual organization of workload with multiple sort/filter options. Clear job overview (dictation, author information, length etc.) allows more efficient organization and planning of workloads. New job alarm for immediate transcription start. Foot Control can be used to operate transcription functions. Ergonomic earphones reduce physical stress. Automatic transfer of dictation files via network, e-mail and FTP. Minimum: Pentium II, 233 MHz and 64 MB RAM. Recommended: Pentium III, 500 MHz and 128 MB RAM. Microsoft Windows 2000 (SP3 for Digital Pocket Memo support). For all listed operating systems, we recommend to apply the latest Service Pack available before installing Speech Exec. Average Customer Review: 5 of 5 Total Reviews: 4 Click here to write a review! Excellent customer service - prompt response and knowledgeable personnel. Made acquiring equipment simple!